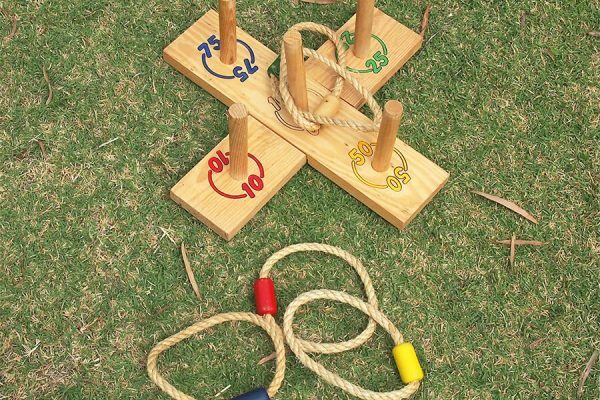 Want some garden games to keep the kids occupied at your wedding? 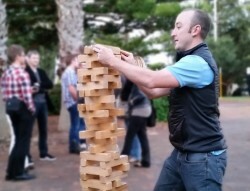 Want an ice-breaker for your office function? Or would you like a low cost entertainment option for your next birthday party? 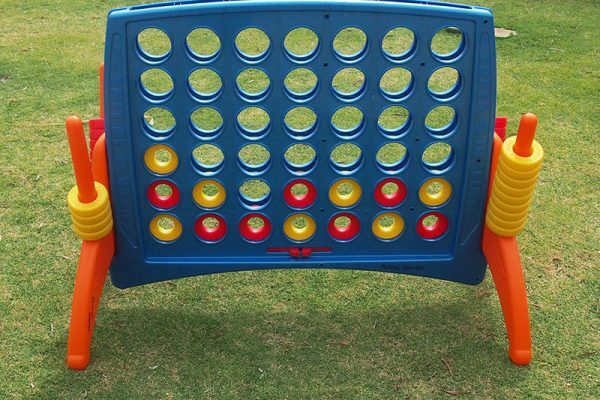 Hire our ‘Weddings, Parties, Anything’ package including our most popular games, for the one low price. 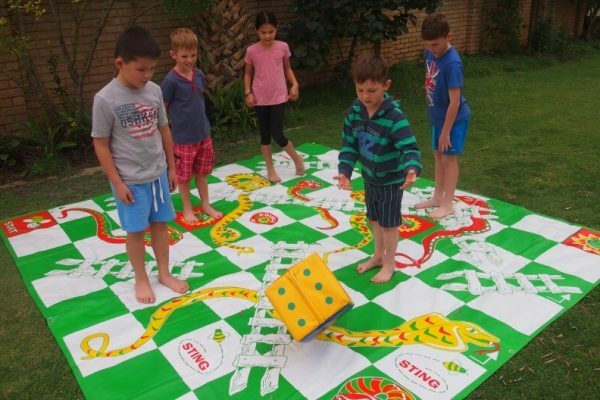 Choice of 1 mat game from; Giant Snakes and Ladders, On Target, Ludo or Get Knotted (Giant Twister). Choice of Garden Ring Toss or Giant Dominos. (24 hours)- $110 plus GST 24 hours. Additional day – $50 plus GST. *If you require staff to supervise any of our equipment we charge $35 + GST per hour per operator.